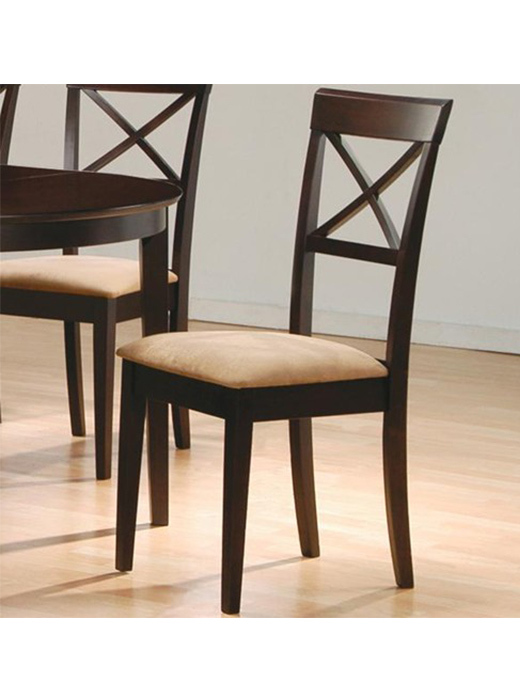 This transitional dining chair made of ash solids and hardwoods provides easy-going style to your dining table set. 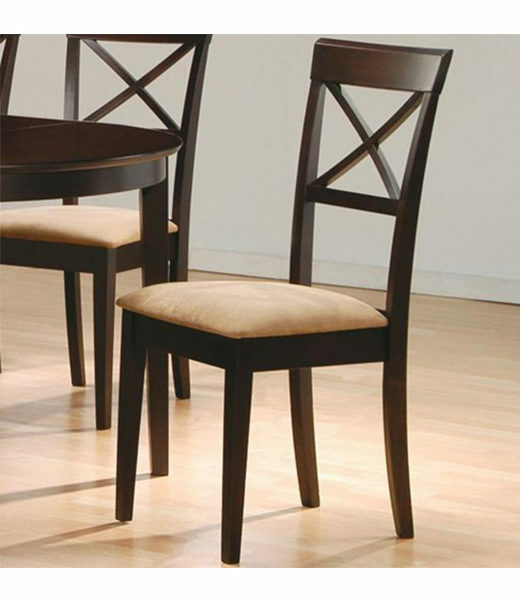 This transitional dining chair made of ash solids and hardwoods provides easy-going style to your dining table set. The upholstered seat adds comfort to the chairs diners at the table. Pair chairs with table for a complete dining group. The ash solids and hardwoods of the Dabny collection provide a bright and fresh look to your home’s dining space with natural beauty. The contemporary style dining table features a beautiful veneer top with functional pull out extension leaf to make more room at the table for family and friends. Ladder back side chairs with upholstered seats and a clean-line server round out the collection with all you need for an inviting dining room.